Pitgy is a village in the Jazmurian section in the southern Rudbar. A man carries a big tree to his house. He will make fences with this tree. Village of the galo: The central part of Qaleh Ganj city, Kerman. The trees of the village are dried and their water reservoir is ruined. As climate change ravages the globe, we bare witness to one of the greatest human-made catastrophes as it unfolds before our eyes in a series of increasingly inhospitable weather patterns that are decimating the landscape far and wide. 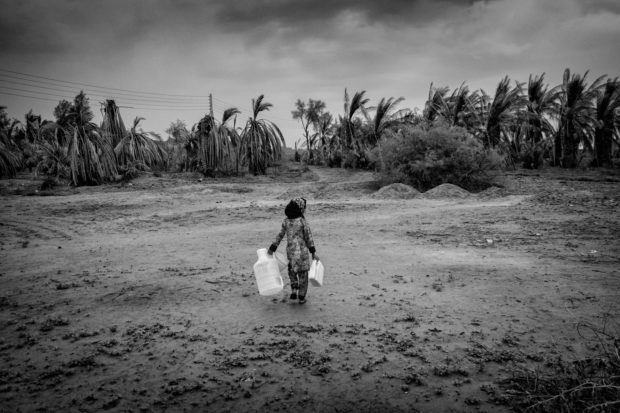 In Iran, climate change has taken the form of a drought, one that affects several regions across the nation including West Azarbaijan Province, Khorasan Province, Bushehr, and Kerman Province, where the drought is now going on 30 years in length. Encompassing 11.5% of the country’s landmass and 3.9% of its population, the drought has presented a larger problem in recent years as lowered rainfall has resulted in thousands of dried up wells. 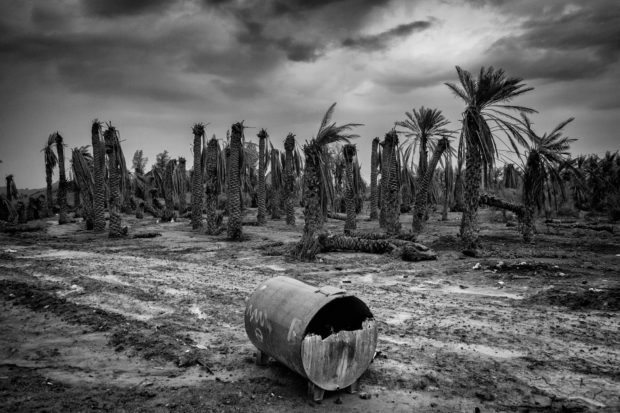 The native economy has taken a hit, as local farmers are no longer able to sustain their palm tree crops. Without income, the people now face a new series of challenges including lack of health care facilities and adequate plumbing to fend off disease. 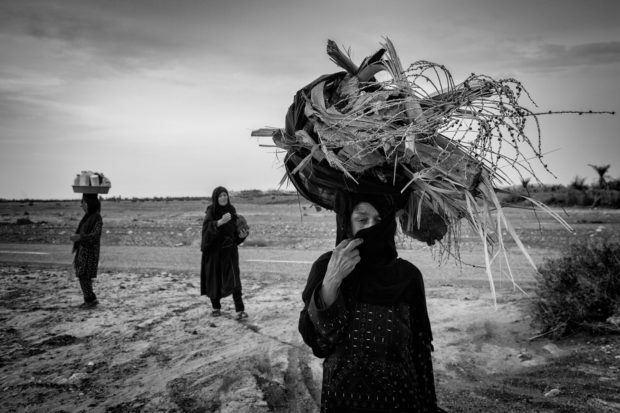 Documentary photographer Mohammad Baghal Asghari traveled to the Kerman province during ten days of Iranian New Year, creating Forgotten Dried Land, which was nominated for the 2018 International Photogrvphy Grant. 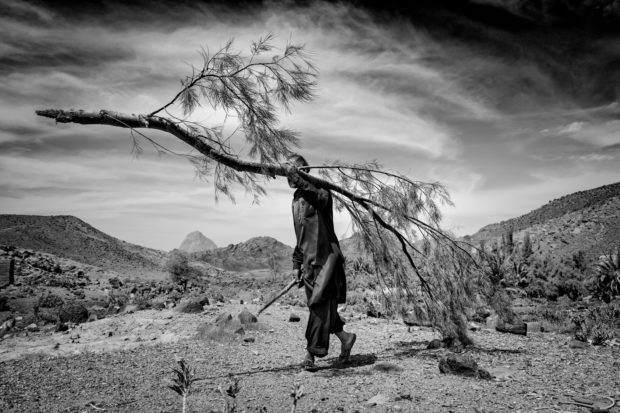 Here Asghari shares his observations photographing the plight of people living through the dawn of the sixth major mass extinction on earth. Soghra complains that she has nothing in her house. She goes out to gather wood every day in order to keep her house warm and cook food. What are the current predictions for drought in Iran? Can you describe the impact of the drought on the people and the landscape? 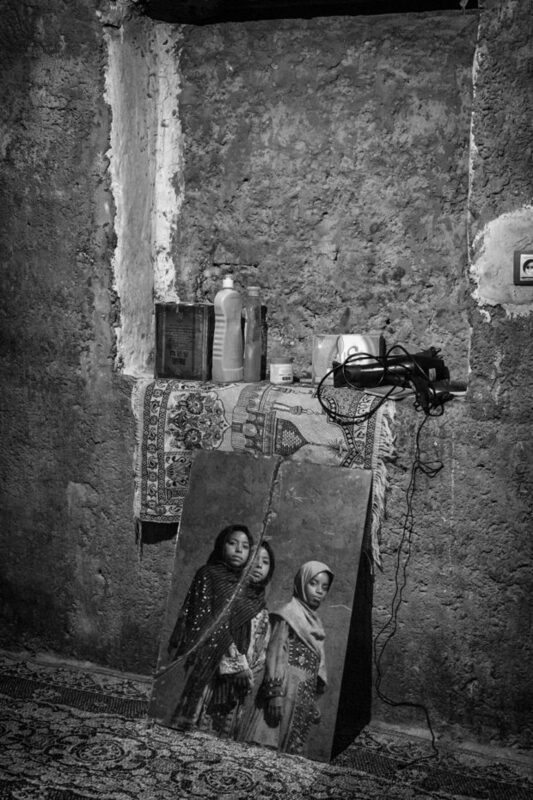 You have presented a fascinating, multi-dimensional look at life for the people of the Kerman province. What inspires you to do this work? 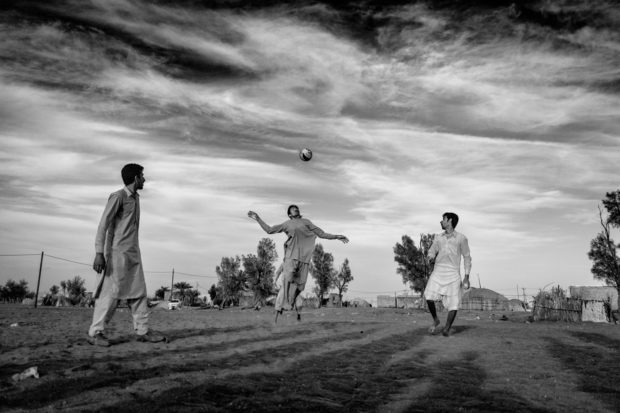 What were some of the challenges you faced making these photographs? 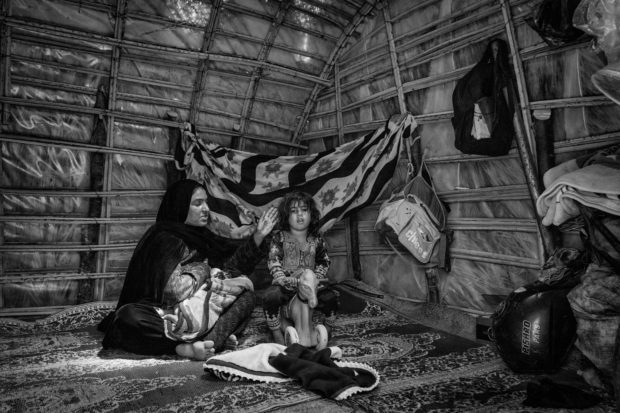 Peng Village, South Rudbar city, Jian Bibi Ghanbari, and her daughter have lived in their CAPAR house (a kind of traditional house) for eight years. Her husband is sheep herder, and he earns money from it. How has the Iranian government responded to the crisis? What would you like people to understand about the people living through the drought, and the importance of showing how they respond to such profound adversity? 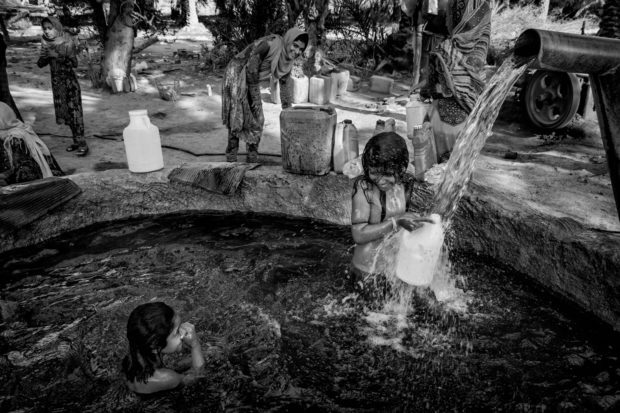 Kahnouj city, Chah Beid village, children walk 3 kilometers once at week to bathe in the pool where a pump is placed. Chah Dad Koda village, ghale Ganj city, Children play with bicycling tires. Ghale Ghanj City, Shahid Motahari Street, Ghalo village. A little girl takes empty barrels to fill with well water. Kahnouj City, village of Chah-Bid. 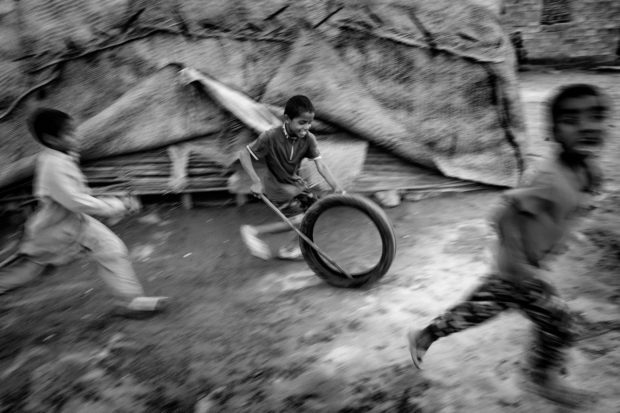 Village men spend their time playing because of the lack of jobs and unemployment. 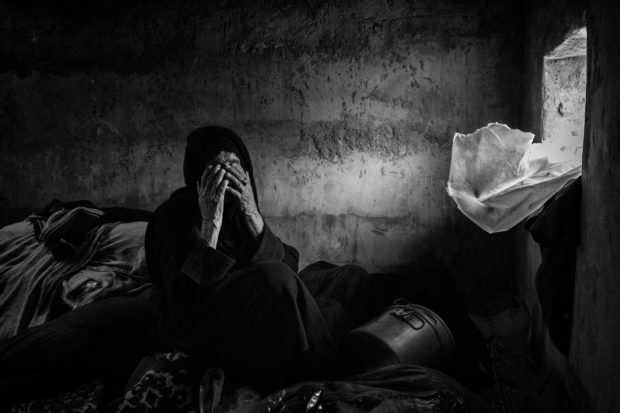 Bibi jan (60 years old) – She has no family and is blind. She continues her life by getting help from her neighbors.